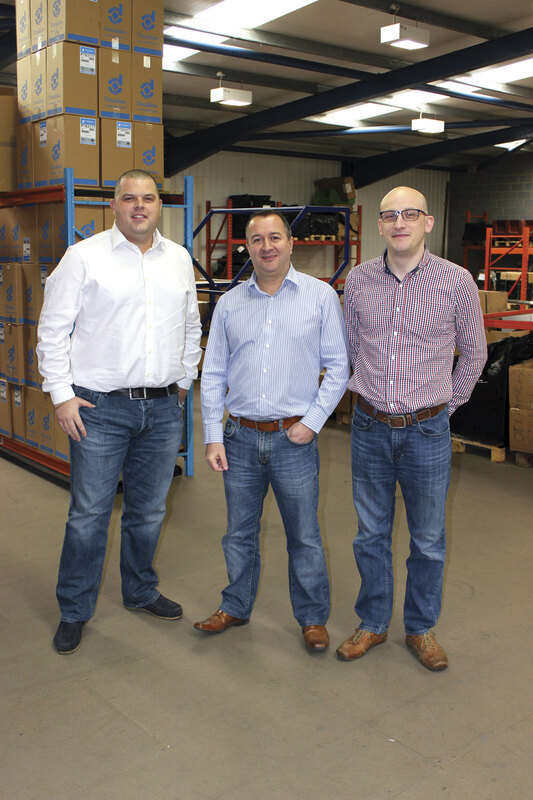 It is 20 years since Kevin Booth and Jack Miles capitalised on their considerable experience in the coach and coach parts markets to establish Heavy Duty Parts, initially specialising in support for the Neoplan brand, but rapidly expanding beyond that to offer parts for virtually any European coach product. The business, which following Jack’s decision to retire in 2005 is now entirely owned and run by Kevin, has grown immensely turning over around £7m annually. ‘I’ve never done the sums but I’d say that 60-70% of sales were our core business of Neoplan, Setra, Mercedes-Benz and MAN and most of the rest is Scania, DAF or Volvo. A big growth area in recent years has been Scania. We tend not to offer parts for the UK manufacturers, but we never say no; if someone rings up and they don’t know what it is, we’ll try and find it. We had a call last week for some kind of Allison boost sensor. They were quoting eight weeks. I found one in America and it will be here next week at half of the price,’ said Kevin. If knowledge is one strength, another is certainly their independence from the vehicle manufacturers. It’s not that Kevin sees manufacturers as the enemy but he does believe that operators deserve better service and less expensive pricing than they often get, and he also thinks that if Heavy Duty Parts were not serving the market operators would be paying more than they currently are. Kevin is never afraid to push the boundaries in developing marketing ideas to promote the business, as a series of highly individual advertisements in the pages of Bus & Coach Buyer have demonstrated over the years. Often with an element of humour accompanying the message, they help to emphasise the dynamism of the company as well as stressing the breadth of the product range and the idea that manufacturers relying on their truck networks to support coaches may not have the level of expertise that Heavy Duty provides. He sees the relationship between the company and the operators its supplies as a partnership in which both benefit by working together. ‘If we weren’t here the price of parts would go up and there wouldn’t be the knowledge on tap,’ he said. The growth of the business means that there are now 22 people employed and Kevin has had to introduce a new structure to take pressure of him and enable him to concentrate on taking the business forward. 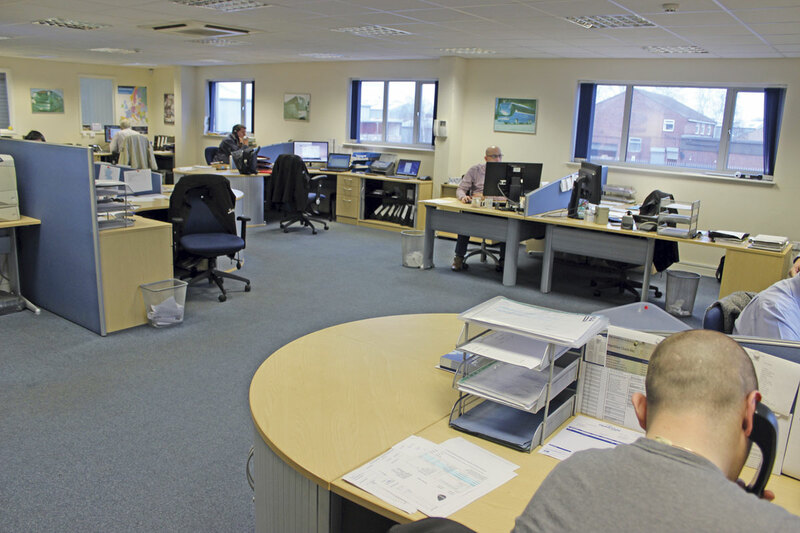 He maintains a sales and marketing role as well as retaining some keys accounts, but long time employee, Tony Giles, has taken on the Operations Manager role and Rob Warner is Sales Manager with a team of four salesmen. Three of the sales team are UK based and the fourth lives in Romania covering both that market and also handling some sales in Germany. Touring the offices illustrated the attention to providing service, and doing so efficiently, on which the business has always been based. It begins with recruiting people who have the necessary knowledge and the right attitude to meeting customer needs and is backed up with regular Saturday morning training sessions on new products that are introduced and new suppliers to bring everyone up to speed. Everyone has a book in which they take notes so they can learn everything and refer back. ‘The staff we recruit are industry experts. It has taken us years to get to where we need to be,’ said Kevin. In a departure from previous practice, last year James, who has a background in automotive, was taken on as an apprentice. On the office wall is a computerised system that shows how may calls have been taken so far that day, how many calls are waiting and how many have been missed, most of the small number of the latter accounted for by incoming calls before the office opens at 08.30. Every day is busy but Mondays are especially so with 700 or more calls the norm. Friday is the quietest day but even so, when I visited there had already been 281 calls either answered or made by 12.30. Sales conversations are always recorded in case of any dispute about what was ordered and to help with training and everyone’s performance is monitored. There are eight lines and generally around 65% of calls are incoming and 35% outgoing. In total there will always be seven people available to pick up and if the main team are occupied Eamon who looks after buying or Debbie who handles accounts will step in to assist. I know from calls I have made myself that it is not unheard of for Kevin to answer himself. ‘There’s that much of a product range now that it is difficult to remind people what we do,’ said Kevin, adding, ‘We could supply a vehicle in kit form, piece by piece.’ That might be exaggerating slightly but not that much, with engines and components, exhausts, axles, cooling systems, clutches and gearboxes, air brake systems, body parts, steering and suspension, light and electrical, air conditioning and heating, filters, belts and diagnostic systems each specifically covered. ‘Don’t get me wrong, we can’t get everything. There are some items that manufacturers own the tooling rights to,’ and in such cases they cannot be supplied at the discounted level that Heavy Duty achieves on other proprietary items. To assist in promoting the diversity, prior to last year’s Euro Bus Expo, the marketing material and product cards covering the core sectors were revamped and altered to A5, which not only makes them handier but also means they are cheaper to mail under the altered postal regime. 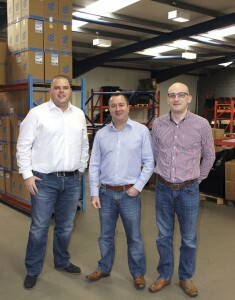 Making sure that everything gets picked, packed and despatched efficiently and rapidly is a team of five people. Normally there will be between 100-150 parcels sent from Retford daily, in addition to those sent directly from parts manufacturers. Stocks currently held amount to around £680,000 with impress stock held by operators boosting that to over £750,000. The shelves are packed with the different items, all computer located. When an item is needed the picking notes print the location so that it can be easily retrieved. 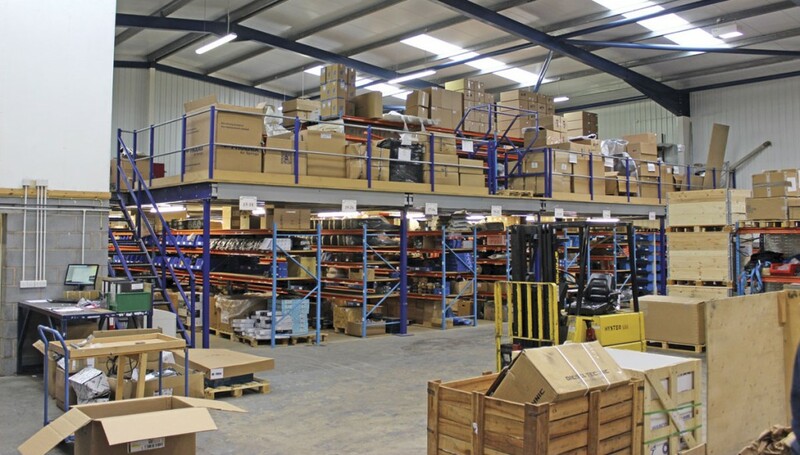 As well as the extensive racking there is also a large rotary stacking storage system for smaller items. 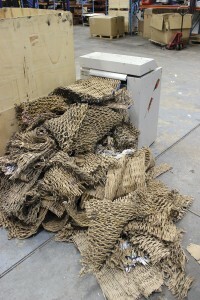 Incoming goods are unpacked and put on the shelves or repacked and sent to waiting customers, a process that generates a large amount of cardboard waste. 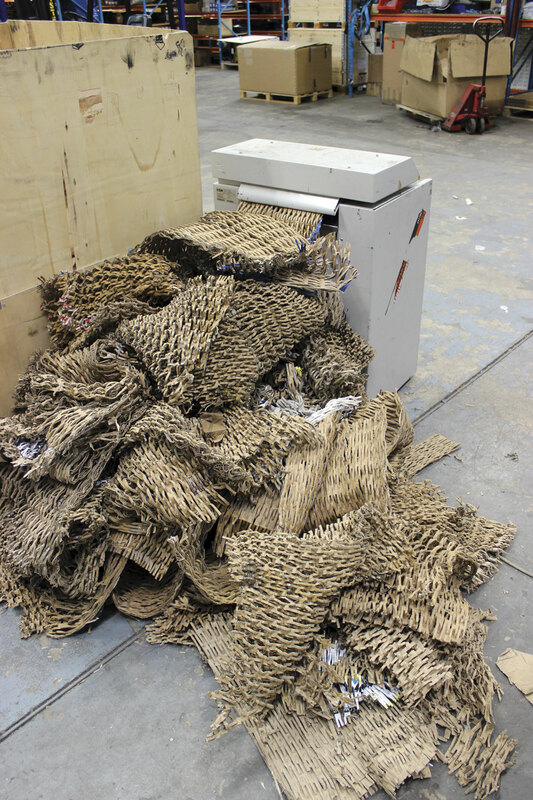 The company has purchased a specialist recycling machine that reprocesses this along with cardboard taken in from other companies, turning it into a useful material for the despatch team to use as packing. ‘We like to do our bit for the environment,’ said Kevin. Increasingly complicated electrical and electronic systems on coaches mean that operators regularly experience problems that their engineering teams cannot identify. This has prompted the introduction of a mobile diagnostics service to help customers. It is provided by Richard Carpendale, an ex Neoplan apprentice with 22 years coach experience, and Steve Bass, previously with Evobus, who has 18 years experience and has now been with Heavy Duty for three years. They will visit operators throughout the UK to assist with problems. They specialise in Daimler, MAN, Setra and Neoplan but can cope with any marque. 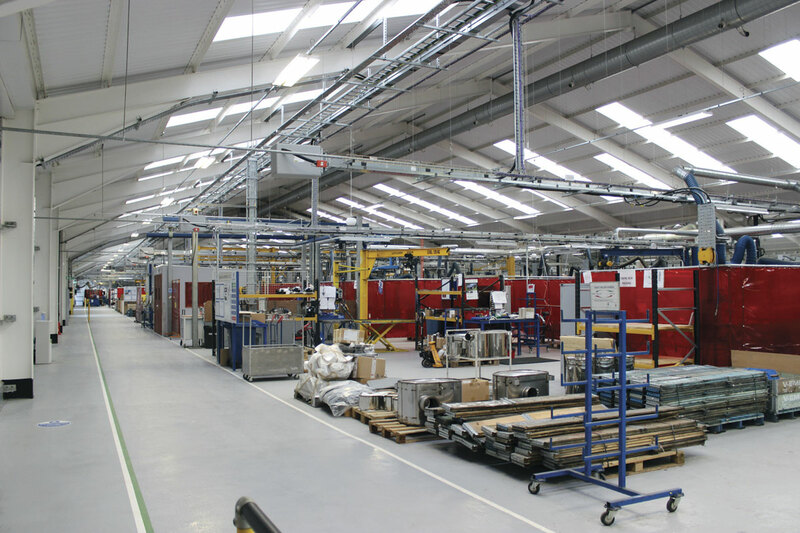 Their expertise covers mechanical, electrical, gearbox, Webasto, steering and articulation systems, door air management systems, electronic braking and safety systems and also the service and repair of all leading makes of air conditioning equipment. Demand for them is often such that they are booked up two weeks in advance, and sometime in the summer it is longer. ‘We don’t make a lot of money out of it, it’s a service to our customers,’ said Kevin. ‘We like to look after those who look after us.’ The charges are £49.95 an hour on the job and £31.00 an hour travelling time. Although the main focus is coaches, bus related business is also undertaken and there are agreements with several of the major bus groups. These contracts include one with Go Ahead covering lighting as part of a Mercedes-Benz supply contract, as well as steering and suspension contracts. There are also pricing agreements with Arriva, First and Stagecoach as well as contracts with Ulsterbus, Bus Eireann and Metroline. ‘It’s great volume business,’ said Kevin. With the provision of engine exhaust aftertreatment systems becoming more important and the progressive introduction of measures such as London’s LEZ scheme, Heavy Duty formed an alliance with Eminox, the well known producers of quality retrofit and OE emission control systems, in 2008. 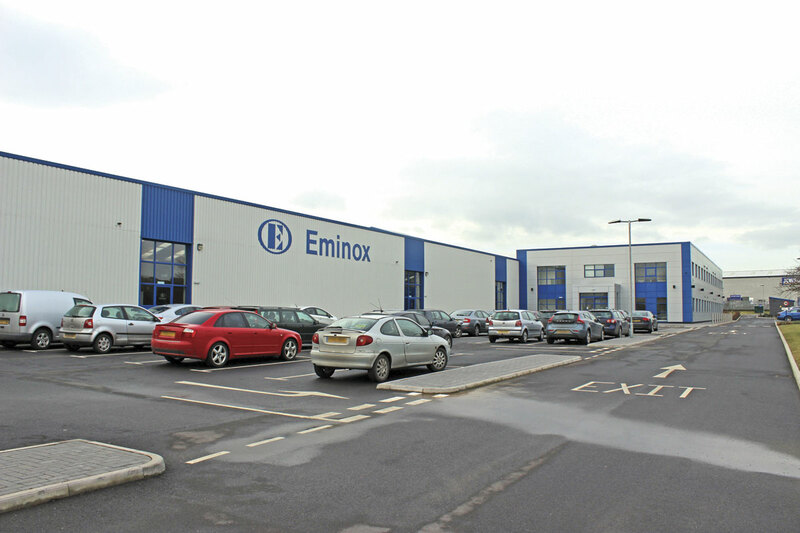 Founded in 1978, Eminox is located around 15 minutes away from Retford having moved into a completely new 7,000sqm factory complex in August 2013. Kevin and Tony Giles took me to see the new facility, which designs and produces both passive CRT (continuously regenerating trap) filter systems and active SCRT (Selective Catalytic Reduction Technology) systems, supplying over 70,000 units to date. We were greeted by International Business Development Manager, Carlos Vicente, and Head of Retrofit Business development, Dr Martin Ott. 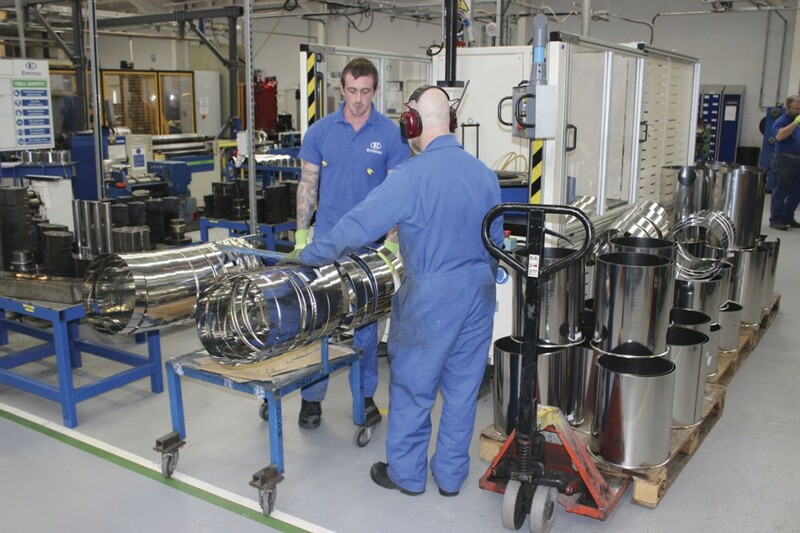 There have been three generations of Eminox SCRT systems to date, the first generation having been designed to take Euro3 emission engines to Euro5. The second generation saw Eminox work with Johnson Matthey to reduce NO2. In the latest third generation systems the emphasis has been on better control of secondary emissions. Using Johnson Matthey catalysts, NOx has been reduced by 95% and NO2 by 95%. Peak ammonia is under 5ppm and Co2 equivalents are also less than 5% due to NO2. These levels are achieved without fuel penalty. SCRT systems are already available for most of the main coach models including: Setra, Neoplan, Volvo B10M and B12M, Scania K and N and Dennis Javelin. Main bus models can also be supplied including: ADL Trident and Dart; Volvo B7TL, B7RLE and Olympian; Scania C94 and L94; BMC; DAF SB and DB; Mercedes-Benz Citaro and MAN 14-220. With the third generation AdBlue consumption is typically 4% of diesel consumption and maintenance to the system should only be required annually. Full UK based flexible fitment, service, support and R&M packages are available. Units should typically cost £15,000 with servicing and repair/maintenance typically £600-£1,000. Eminox sees opportunities in the clean vehicle funding the government is making available to local authorities to upgrade pre-Euro6 buses that will remain in service for five years to Euro6 standard. It had previously supplied 236 buses with SCRT systems under Clean Bus Technology (CVTF) projects in 2014 and has order for 2015 to supply Coventry, Leeds, Dudley and Bradford under CVTF. In the future TfL plans to have a central Ultra Low Emission Zone from 2020 with a minimum Euro6 level for entry and to comply with this. Operators with pre-Euro6 coaches will either have to spend £15,000 on a suitable system to meet the regulations, pay a £100-a-day fine or stay outside the zone. Helping provide first generation SCRT equipment in 2009 generated around £1.3m of business for Heavy Duty and generation two in 2012 generated sales of Eminox systems worth £3m. Complete Euro3 and Euro4 upgrade kits are still being supplied for retrofitting, with three sent out on the week I visited. No doubt there will be some demand for upgrading vehicles to Euro6 in future to meet the ULEZ requirements but the £15,000 cost will be a deterrent. Kevin does not believe that demand will be as big as at previous stages because of this and also because there are no operators based within the ULEZ zone. 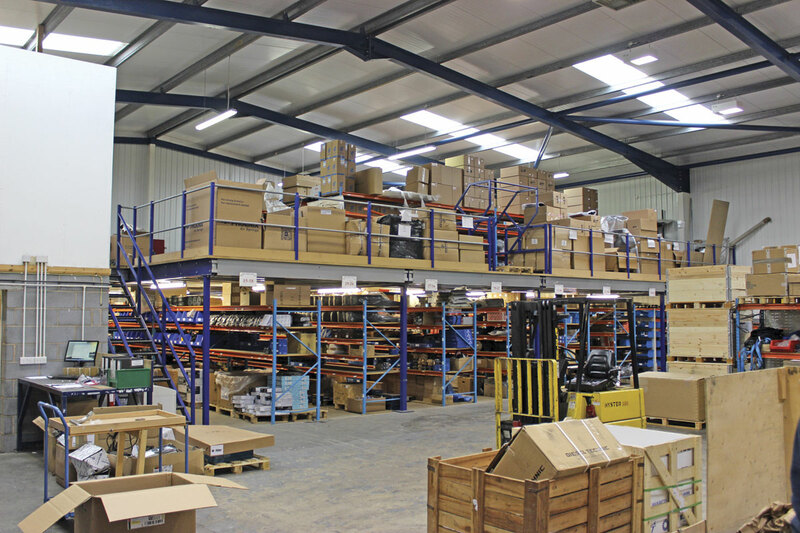 When the operation moved to the 12,500 square foot site on the Hallcroft Industrial Estate in Retford in 2006 it was meant to be a once only relocation, but such has been the expansion that the facilities are now very near to capacity. Prior to Christmas an amount of older low turnover stock was disposed of to create shelf space for faster moving items. Total lines carried now exceed 10,000 items. Opening an additional depot is not something that can be justified because of the costs that it would bring, but keen to employ more professionals, consideration is being given to recruiting remote workers. The phone system is already capable of coping with this. 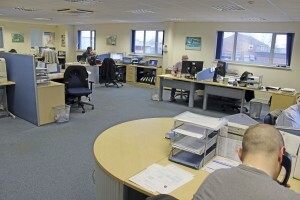 Modern systems enable someone working in this way to have all of the information available in Retford available on a computer at home and realtime communication with the rest of the team. Essentially, it would be exactly as if they were in the office.